Gökarıksel (2012) The intimate politics of secularism and the headscarf: the mall, the neighborhood, and the public square in Istanbul, Gender, Place & Culture: A Journal of Feminist Geography, 19, pp. 1-20. This text is currently open access. This week’s conversation is an extension of our discussion last week: we are aiming to get a sense for the encompassing field that is feminist geographies while developing a certain comfort level with some of the terms that we will use to examine social inclusion in cities and feminist urban futures. Taken together, the readings for this week illustrate how the field has changed over time and in relation to shifting theoretical trends. (Geraldine Pratt’s first text, chapter 2, offers a clear attempt to grapple with such changes. We can see evidence of similar shifts in last week’s readings, particularly with the editors’ decision to adopt a Deleuzian approach to feminist geographies.) Moreover, these readings depict a field that is keenly attentive to the ways that the local and the global are mutually produced and productive. Each of these four texts brings the feminist mantra “the personal is political” to life in various ways. For instance, each author shows us how bodies are intimately linked to, and are productive of, global processes. Gender. Our goal when using this term is to retain the tension between gender as fiction, the naturalised performance that is grounded in compulsory heterosexuality, and gender as lived experience, wherein people conform to, resist, embrace, and challenge the normative roles and routines that we understand as femininity and masculinity. For example: when we talk about people’s lives in the city, we must contend with the fact that care work and the responsibility for sick children and elderly people falls disproportionately on the shoulders of women and girls. This is the case for both paid and unpaid labour. At the same time, we must not lose sight of our responsibility to resist this framework and the ways that it naturalises particular gender roles, and to recognise the structures and logics that uphold this social ordering. Intersectionality. Often credited to Kimberlé Crenshaw, Black feminist/ legal theorist, this concept has its roots in the writings and speeches of nineteenth- and twentieth-century activists who laboured for civil rights, women’s rights, and the inseparability of these goals. Think Sojourner Truth’s “Ain’t I a Woman?” speech of 1851 and the Combahee River Collective Statement of 1977. (An open source reprint of this statement can be found here and is worth the read (and re-read!). 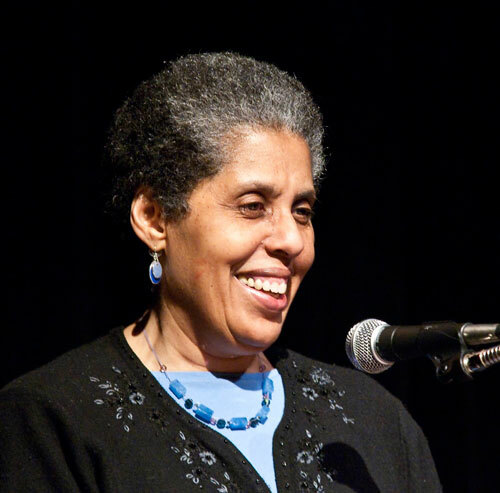 Combahee River Collective member Barbara Smith. Image from the Mount Holyoke Alumnae Quarterly. In other words, grappling with the realities of women’s and girls’ lives – and social inclusion more broadly – means grappling with the ways that oppression and privilege operate in uneven and intersecting ways. This has particular relevance when we talk about creating policies to counter discrimination; here is one example of how intersectionality is operationalised in efforts to govern equity. We will address this in more detail in the weeks to come, but we need to stay attuned from the outset to the spatiality of our intersectional approach. In sum, power and privilege are produced in particular ways in particular places. To fully appreciate the ways that oppression and identity intersect requires an understanding of why place also matters. We looked last week at Gill Valentine and Tracey Skelton’s research on D/deaf women to discuss this point, and Banu Gökarıksel’s article for this week also highlights the relationship between place and embodied politics. Gökarıksel’s examination of three specific sites across Istanbul, as well as her analysis of the discourses at work in a popular film, emphasize how the meanings and significance of the secular and the religious are produced in gendered and place-specific ways. As a consequence, Gökarıksel notes, “Women’s experiences of different city spaces on a daily basis are also productive of their subjectivities” (p. 15). She shows us that a woman wearing the headscarf can feel marginalized or empowered in different spaces in the city, and her everyday practices (and the reception to them) influence how she understands herself and the urban spaces that she inhabits. Moreover, the urban spaces are produced out of these very material power relations: the way a salesperson at Akmerkez mall refuses service to a woman in a headscarf; the participation of headscarf-wearing women in a protest at Beyazit square…all of these practices inform the fabric and feel of these urban spaces. We will return to this point many times over the course of the semester. For further information on Gökarıksel’s research, she maintains a project website with colleague Anna Secor here.